Election are held for voters to decide who will be their elected representatives in various public offices. At times it becomes confusing and tough for voters to decide which candidate to vote for. There was no platform for the candidates to showcase their work to the voters. 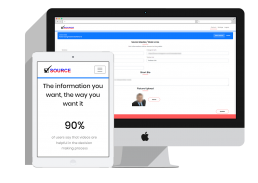 The Source Voting team jumped opportunity and created the “Source Voting” platform. It is now easier for voters to learn more about their candidates. What all the candidates have to say, all in one place! 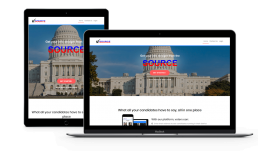 Source Voting is a unique platform allowing electoral candidates or their representatives upload videos and showcase the activities they’re doing to benefit their voters. Meanwhile, voters can enter their own address to see which candidates are running in their district. They can further watch the videos uploaded by those candidates and stay informed on their stances and opinions to make the best choice. Research states that videos can make any content easier to grasp and understand. Source Voting is disrupting the campaign industry as the only real tech platform for advertising in an age where voters are looking for direct information in a video format. When candidates or their representatives upload their videos, voters can easily search for and watch the videos and then make a more informed decision about which candidate to vote for.